You have to set a budget before you get started. If you did your research and realized replacing your tile would cost too much, you probably have a budget in mind. Narrow that down to a specific figure before you go to the home improvement store. When will you complete this project? Before you purchase anything, set a deadline on when you will paint your kitchen tile. This will give you some urgency and motivation to purchase materials, create time, and get the job done. 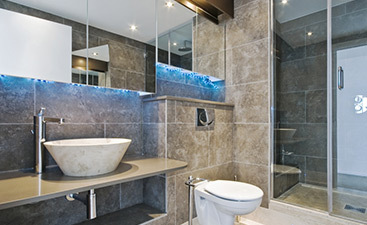 You will want to choose the right type of kitchen tile paint and the ideal color for your kitchen. The worst feeling in the world in the DIY realm is to purchase materials that do not work for your project. It can get expensive and disheartening. Do your research. Ask professionals. Be prepared to do the legwork. Finally, purchase the materials you will need to complete your project. The first step in the “painting” your kitchen tile process is to clean the tile thoroughly. You want a clean, porous surface to receive your primer and paint. You will want to use some gentle degreaser and then some warm water with soap. Next, rub the tile down with some rubbing alcohol and a rag. This will further clean the tile and prepare it for your painting. Finally, tape off any walls, cabinets, appliances, or features you do not want to get paint on. You don’t need to tape and plastic the entire kitchen, but you will want to cover the areas near where you’re going to paint to keep them clean and paint-free. Before you start painting, take some practice strokes on some old cardboard or tile you may have in the garage. The goal is to get the perfect consistency so that the paint covers the old tile but does not look thick and goopy. Using multiple colors? You will need multiple days to complete your project. Paint the tile one color every 24 hours. This will allow for drying and consistency. Bonus Tip: Add a small amount of paint to your brush and dab it onto the center of the tile you’re about to paint. This will help prevent paint dripping while you paint. 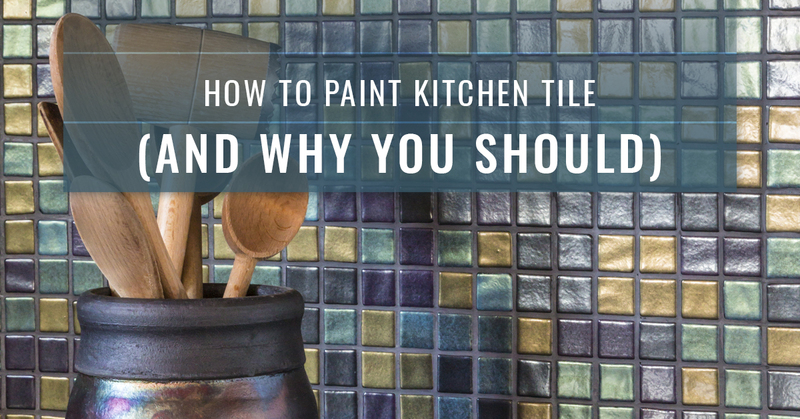 Use a foam roller to smooth out the paint and create a better consistency across all the tile. Let your tile paint cure for at least a week before resting anything on them or cleaning them to get the best result possible. It’s important that after you successfully paint your kitchen tile, you celebrate. You did a lot of hard work, and you deserve a pat on the back. Your kitchen looks great, and it’s time to invite some friends and family over to enjoy the new aesthetic you added to the space. The biggest reason is that you’ll save money. 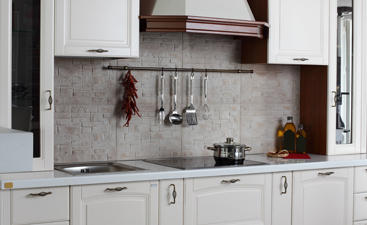 You will be able to update your kitchen without having to replace your tile. Yes, it will take more time to complete, but you will find that your budget will thank you for it. If you would rather replace your tile then paint them, you will find hundreds of kitchen tile options at Transworld Tile in San Fernando. We’ve been the top-tier experts in the industry for over 25 years. 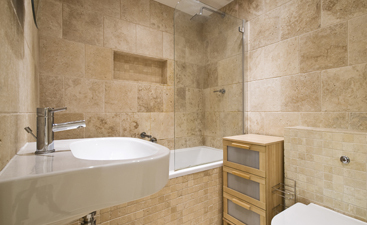 When you choose Transworld Tile, you get only the best. Visit our San Fernando location today, or give us a call!